Kevin Labanc was added to Ducks. Miles Wood was added to Ducks. Nick Schmaltz was added to Ducks. TRADE : From Flames to Ducks : Joshua Jacobs (P). TRADE : From Ducks to Flames : Nicklas Grossmann (66). [06.06.2017 22:07:40] - San Diego Gulls was eliminated at round 4 of year 16. [18.06.2017 14:24:28] - TRADE : From Ducks to Panthers : Jussi Jokinen (70). [18.06.2017 14:22:28] - TRADE : From Sabres to Ducks : Mark Jankowski (46). [18.06.2017 14:22:28] - TRADE : From Ducks to Sabres : Jake Gardiner (66). [18.06.2017 14:22:27] - Mark Jankowski was added to Ducks. [07.07.2017 0:33:26] - TRADE : From Ducks to Penguins : 2 000 000 Kč (Money). 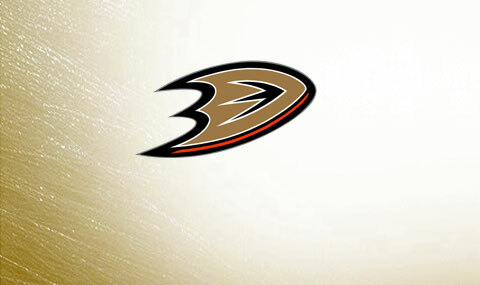 [30.04.2017 19:21:58] - Ducks was eliminated at round 1 of year 16. [11.04.2017 23:35:19] - Kevin Labanc was added to Ducks. [11.04.2017 23:36:43] - Miles Wood was added to Ducks. [11.04.2017 23:39:02] - Nick Schmaltz was added to Ducks. [19.02.2017 22:24:26] - TRADE : From Ducks to Wild : Ryan Kesler (72). [19.02.2017 22:24:25] - Nikolay Goldobin was added to Ducks. [18.02.2017 22:38:44] - TRADE : From Ducks to Wild : Nikolay Goldobin (58)- 3 000 000 Kč (Money)- Y:18-RND:1-ANA. [18.02.2017 22:38:44] - TRADE : From Wild to Ducks : Ryan Kesler (72). [19.02.2017 22:24:26] - TRADE : From Wild to Ducks : Nikolay Goldobin (58)- Y:18-RND:1-ANA. [18.02.2017 22:38:43] - Ryan Kesler was added to Ducks. [02.02.2017 23:22:08] - TRADE : From Ducks to Penguins : Milan Lucic (69)- 2 000 000 Kč (Money). [02.02.2017 23:22:07] - Mark Pysyk was added to Ducks. [02.02.2017 23:22:07] - Paul Stastny was added to Ducks. [19.01.2017 0:10:29] - TRADE : From Ducks to Flames : Nicklas Grossmann (66). [19.01.2017 0:10:29] - TRADE : From Flames to Ducks : Joshua Jacobs (P). [02.02.2017 23:22:08] - TRADE : From Penguins to Ducks : Paul Stastny (70)- Mark Pysyk (62). [21.02.2017 0:00:41] - Jussi Jokinen was added to Ducks. [21.02.2017 0:00:42] - TRADE : From Flyers to Ducks : Jussi Jokinen (70)- Rudolfs Balcers (P). [27.02.2017 23:18:03] - TRADE : From Wild to Ducks : Ryan Kesler (72). [21.02.2017 0:00:42] - TRADE : From Ducks to Flyers : Mark Pysyk (62). [27.02.2017 23:20:51] - TRADE : From Ducks to Sharks : Matt Carle (64)- Y:17-RND:3-ANA. [27.02.2017 23:20:51] - TRADE : From Sharks to Ducks : Marc Methot (67). [27.02.2017 23:20:50] - Marc Methot was added to Ducks. [27.02.2017 23:18:03] - TRADE : From Ducks to Wild : Nikolay Goldobin (58)- Y:18-RND:1-ANA.